Over the next several years, CFOs and their finance organizations will be able to tap three key technologies to make their business processes better, faster and less expensive. "It will take some time for organizations to digest and embed the technological progress of the past several years to change the way work is done, how workforces are organized, and how workplaces are structured," Ehrenhalt continued. "The capabilities of currently available technologies have not yet been fully manifested in any company's finance organization that we have seen. Just as society, regulation and governmental policy are taking time to catch-up to technological progress, so too are large enterprises." A key benefit that CFOs and their teams are seeing from blockchain implementations is not only a singular view of their data but the data integrity that an immutable blockchain environment can afford, according to Charlie Moore, CEO of Global Debt Registry, a FinTech company that provides a B2B credit ledger based on blockchain. "Many corporate finance processes haven’t changed in decades, but by bringing all parties into a singular ledger, finance officers are now getting a clear perspective into their markets. This allows for consistency of data-sharing and financial diligence, and removes redundancies in data evaluation and analysis," Moore said via email. 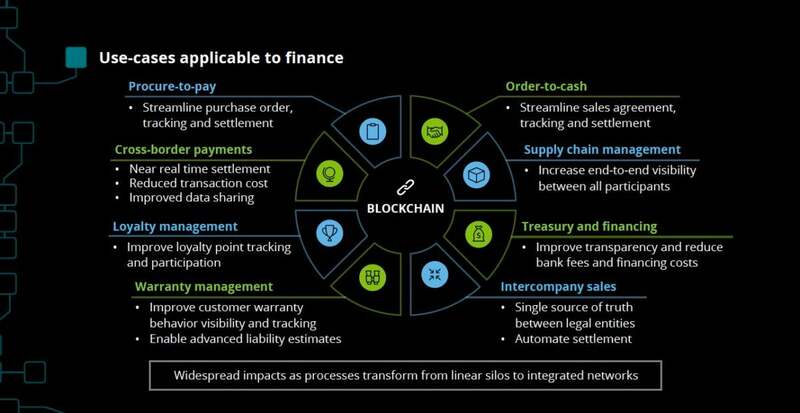 Business processes optimized by a permissioned blockchain ledger can increase transaction volume by allowing for greater visibility into the process, Moore added. In the late spring of 2018, 4,407 corporate executives were polled by Deloitte LLC about blockchain technology. While generally more conservative than other lines of business, CFOs and their organizations are beginning the process of testing technologies such as blockchain, which through a permissioned, electronic distributed ledger can offer a single view of finance data, connecting previously siloed processes and applications at a transactional level in near real time, according to Ehrenhalt. Govern and scale key technologies across the finance organization. 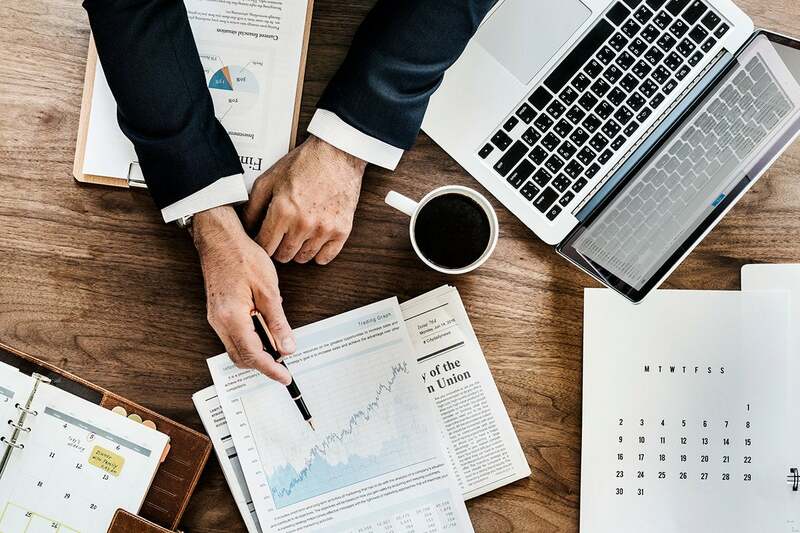 By looking at how other businesses are using new technology, finance organizations can get a glimpse of what automation can deliver. 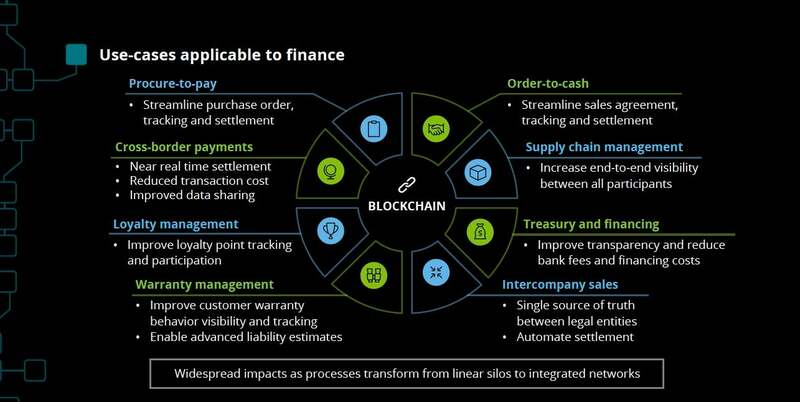 For example, enterprises are using blockchain and its business automation component – smart contracts – to track assets, both internally and in supply chains. In the late spring of 2018, 4,407 corporate executives were polled by Deloitte LLC during a webcast about blockchain technology. While finance organizations will still need to meet external demands for cyclical information, outside investors could also get access to more frequent performance data. "You're not forecasting once a month or quarterly. It's all happening in real time," the report said. This story, "Blockchain, chatbots, and AI could reinvent corporate finance" was originally published by Computerworld.